Is There a Place for a Backpack on the Rides at Disneyland? Before our trip to Disneyland in April, I polled my friends to ask about potential articles I could research during my visit. One of the suggestions was from my brother-in-law Kevin. He works for Whole Earth Provision, an outdoor equipment company, where his talent as a gear junkie has proven invaluable. 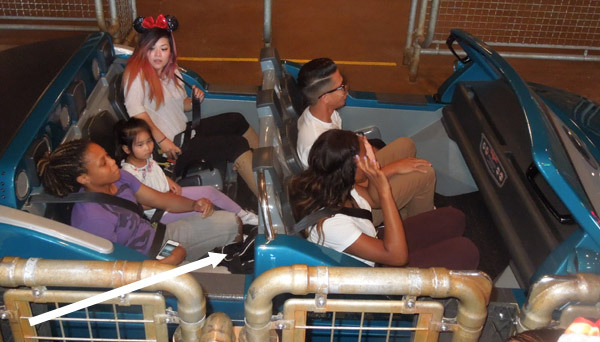 Kevin always has the right equipment for the occasion, and his question about Disneyland was this: "When I'm on a ride, Is there a place to put a backpack?" Asked before we visited the park, I couldn't remember. 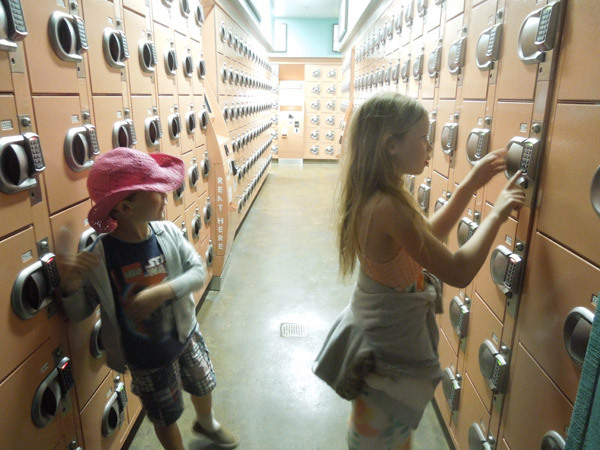 We both knew that Disneyland had storage lockers available for use, but the lockers weren't practical for parents carrying family supplies. As for the rides, my recollection was that there was a place to set things aside while you ride, and that Disney employees would keep an eye on them until your ride was over. There was no place to set a backpack while you ride. However, there was always a place near your feet to squeeze in a bag of stuff. 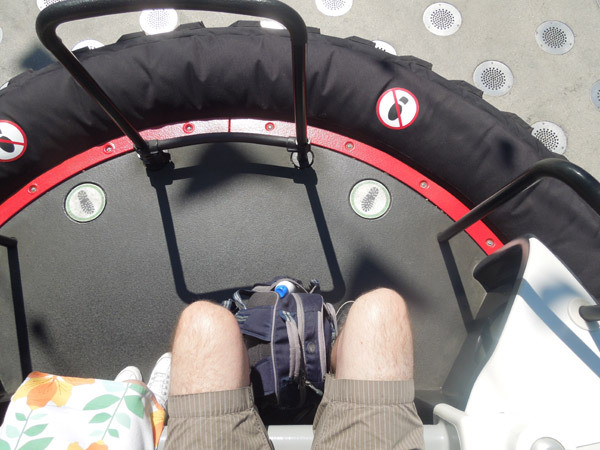 Above is an image of my son's backpack on the floor of the ride carriage of Astro Blasters. These ride carriages are similar to the "Doom Buggies" in the Haunted Mansion. There is plenty of room on the floor. Another example of bag storage is on the floor of the Autopia car. The car's dashboard is made to fit a child driver, so adults can be smashed. In any case, a backpack will fit here on the floor. 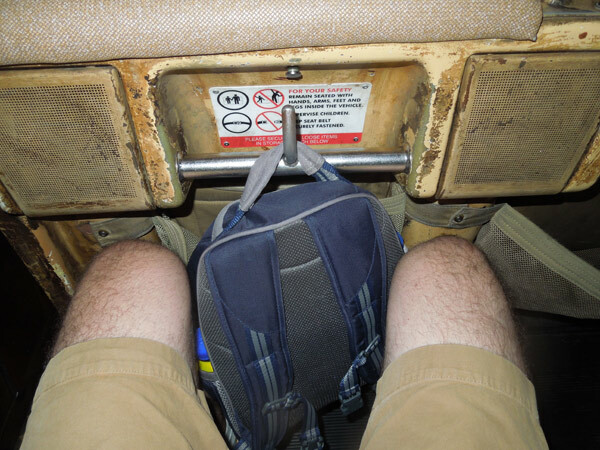 One of the newer rides at Disneyland, the Indiana Jones Adventure, is well suited to bag storage. They give you a small hook to hang your bag, and a mesh fabric pocket for loose articles. I'll bet they will be more accomodating to backpacks in future ride designs. 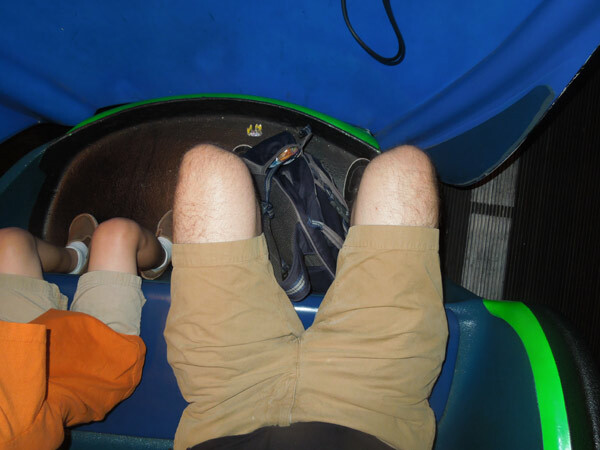 Here's a shot of the legroom and bag space on Splash Mountain, the log ride. There isn't much room, and there is little hope to keep the bag dry. At Disney California Adventure, the park next door, the backpack situation is the same. 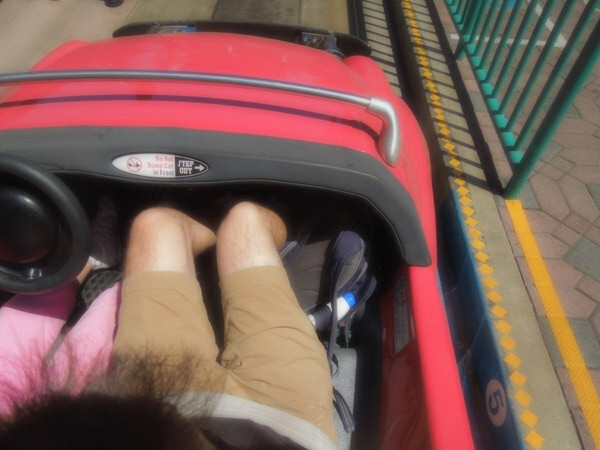 In the photo above you can see a gal stashing her backpack at her feet on the Cars "Radiator Springs Racers" Ride. Here are two backpacks on the floor at Ariel's Undersea Adventure ride. 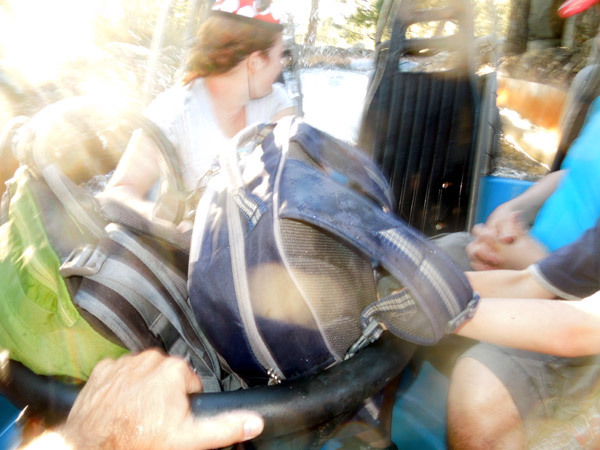 Grizzly Falls Whitewater Rafting has a nifty spot for bags in the center of the ride. They tend to stay slightly dryer than the riders. And finally here is a look at the bag storage situation on Luigi's Flying Tires ride. There is plenty of room for bags on this one. 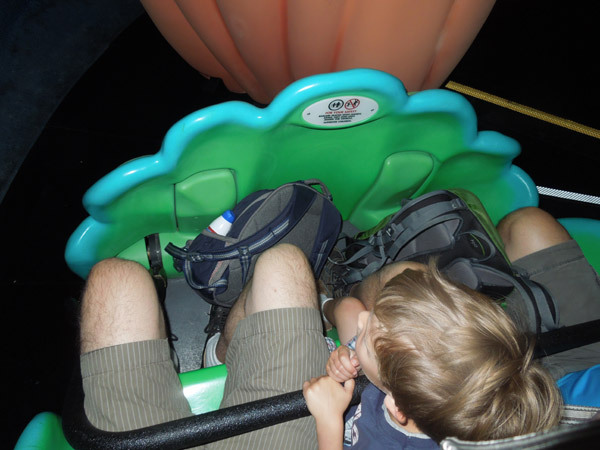 As you can tell by the photos above, there is always room for a daypack on rides at Disneyland. The real question is, what exactly do you want to carry around for 9 hours?